The trial for a local man facing 27 counts of cocaine-related charges was postponed Monday after his attorney withdrew from the case and new counsel was appointed. Anthony B. Adkins’s former counsel, Susan Wollscheid, withdrew from the case because Adkins sent a grievance regarding Wollscheid to the Supreme Court of Ohio Disciplinary Counsel, claiming “ineffective assistance,” according to a motion. “This supports counsel’s prior assertion that there has been a complete breakdown of the attorney client relationship. I believe continued representation of Mr. Adkins would be a conflict and there is justification for the court to appoint new counsel on the defendant’s behalf,” Wollscheid wrote in her motion. The motion was approved in Fayette County Common Pleas Court, and John Cornely, of the Ohio Public Defender’s Office, was appointed as new counsel for Adkins. The trial, originally scheduled for Dec. 11, has now been rescheduled for Feb. 27. 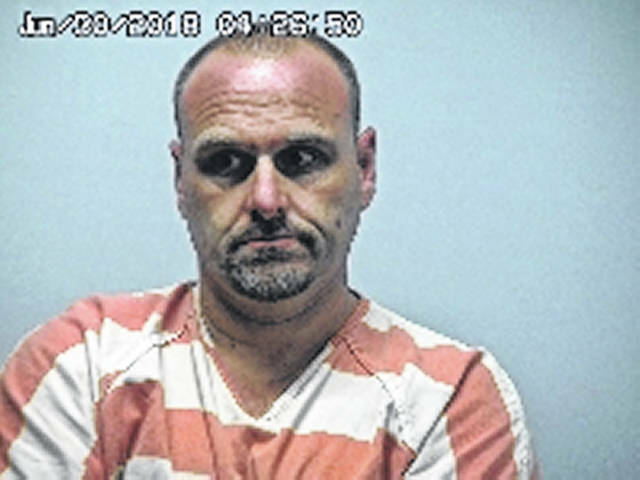 According to Fayette County Sheriff Vernon Stanforth, his detectives and US 23 Major Crimes Task Force agents started an investigation following complaints of suspected drug trafficking with Adkins, 40, as the suspect. Detectives and task force agents conducted multiple undercover drug sale transactions with Adkins over a six-month period. A Fayette County jury indicted Adkins on two counts of first-degree felony trafficking in cocaine, two counts of first-degree felony possession of cocaine, two counts of fourth-degree felony trafficking in cocaine, two counts of fourth-degree felony possession of cocaine, two counts of third-degree felony trafficking in cocaine, two counts of third-degree felony possession of cocaine, seven counts of fifth-degree felony trafficking in cocaine, and seven counts of fifth-degree felony possession of cocaine. Adkins was also indicted for engaging in a pattern of corrupt activity, a felony of the first degree. Specifications to this charge say that a 2007 Harley Davidson, 2000 Chevrolet Silverado, 2005 Lincoln SUV and 2002 Pontiac Bonneville are all up for criminal forfeiture.